difficult for the military or police to approach the center of the rally site. It is said the red shirts have received a great deal of training from former military leaders, based on the construction of the blockades and strategic position, this appears to be true. 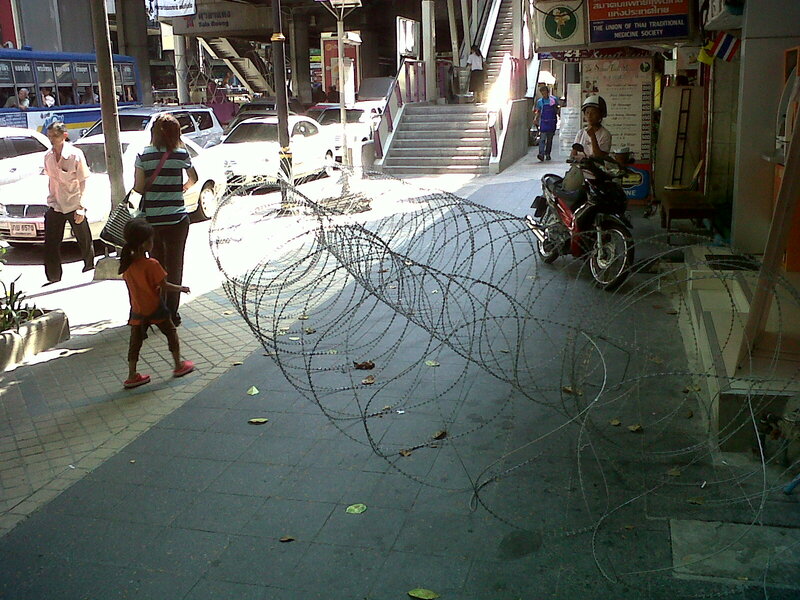 Silom appears to be a war zone, or a zone that is preparing for a war. There is razor wire on the sidewalks, military and police on the streets and in the mass transit stations. How to describe the Silom area to explain how odd this is? It is the area of town full of banks, upscale shops, exclusive hotels and one of the most popular entertainment districts- it is located in the heart of Bangkok, a midway point between the river and Sukhumvit. 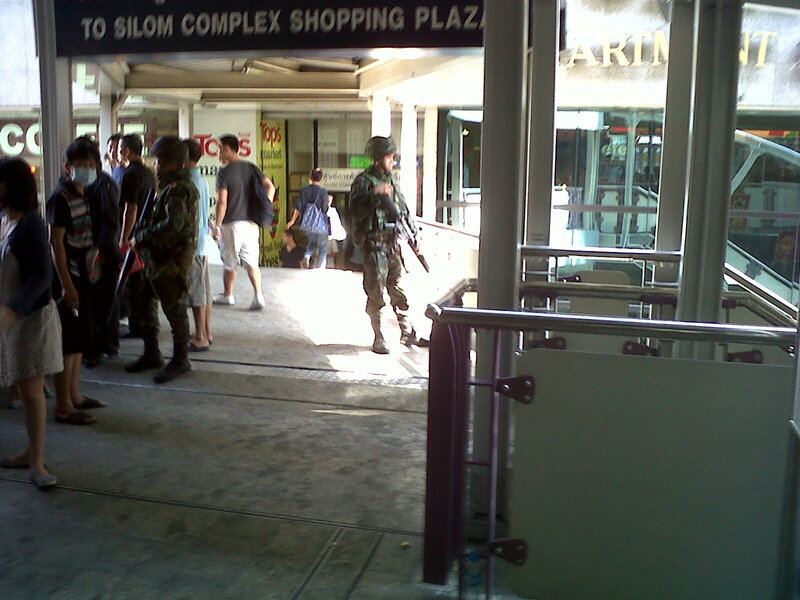 Armed military are in mass transit stations. 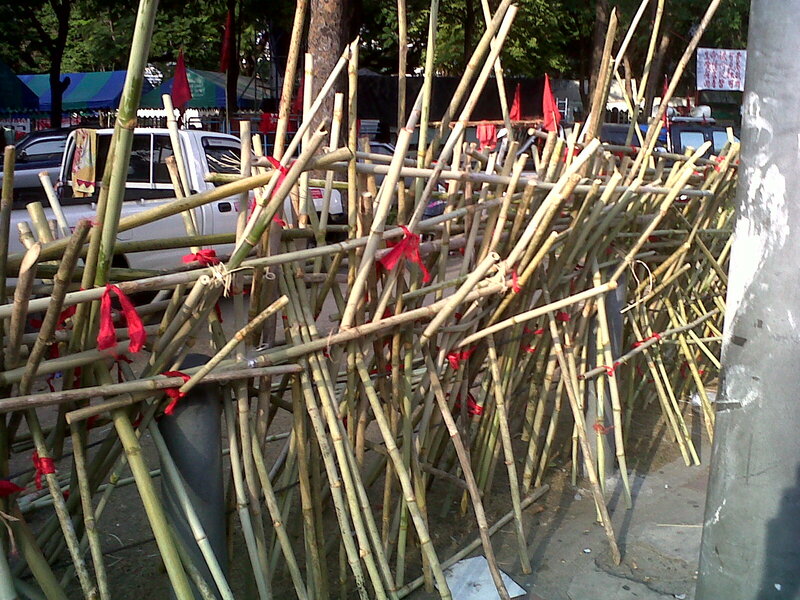 If you are not near the protest site- that now means inside the barricades- things feel much the same. Thailand is now in the middle of the hot season, this is the low time for tourism. The upheaval in Bangkok has resulted in a serious lack of tourists and areas popular with tourists and business travelers are slow. You can still find all of the Thai smiles and hospitality outside the protest zones, but things are more subdued as one and all wonder what will happen. 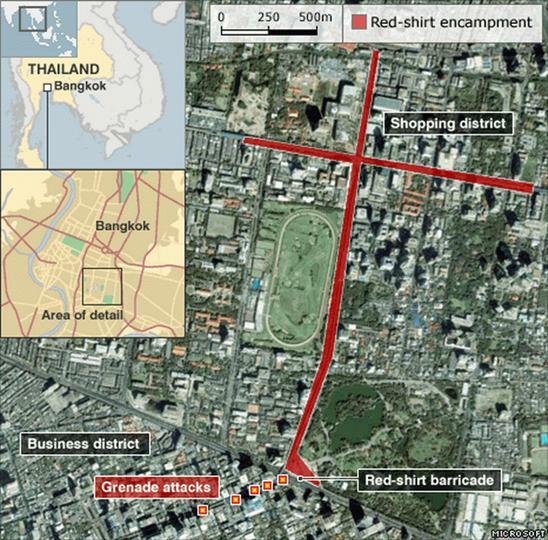 Is Bangkok safe? Yes, but one must avoid the protest sites. Is this the ideal time to travel to Bangkok? No, due to limited public transit hours, streets being closed and a general feeling of tension in the middle of the city. 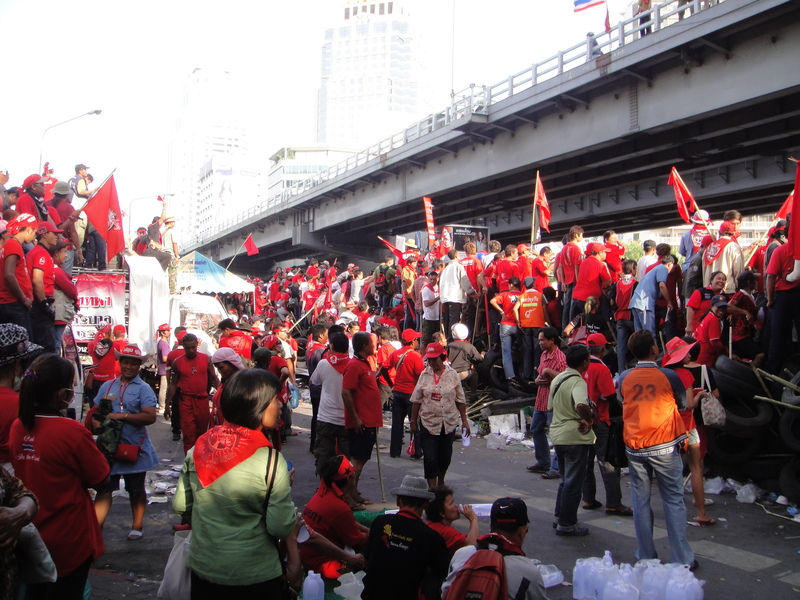 This entry was posted in Bangkok, Culture, Politics, Sightseeing, Thailand and tagged Bangkok protest, red shirts, Red Shirts in Bangkok, Thailand Politics, travel to Bangkok now. Bookmark the permalink.